Demonetisation has triggered the use of digital mobile wallets in India and everybody is eager to know about them. 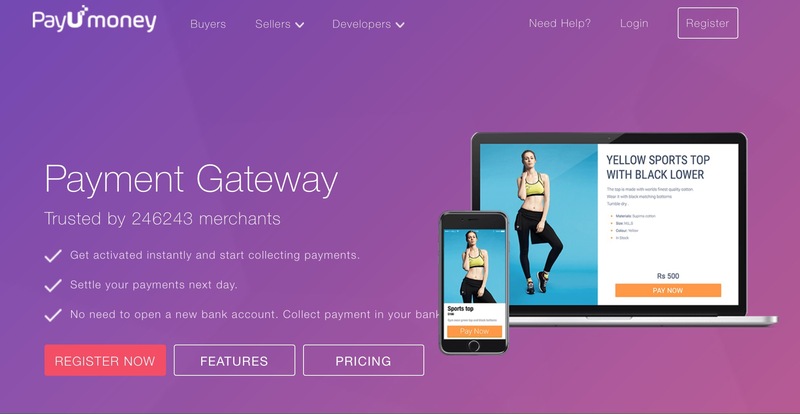 A digital wallet is an electronic device that lets you to make e-commerce transactions like purchasing items online using your computer or smartphone. You can add money to digital wallet account to get special benefits and link your bank account or store your credit/debit card information for faster transaction. 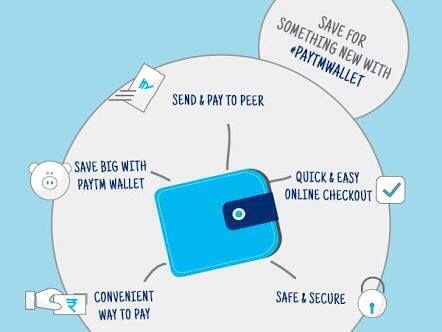 Paytm is just not confined to selling products to customers, it is one name that is also well-known in the digital wallet space. Being a popular name in e-commerce industry, it provides secure means to store money and travel cashless. Now, it has introduced some of the whopping discount and cashback schemes for the customers who add money to this digital wallet. You can avail these offers by simply using coupon codes while adding money to this wallet through your debit cards or net banking services of any banks in India or making transactions using it. PayUmoney Wallet ensures customers 1% extra discount or reward for paying through them. With PayUmoney, save everytime on your online shopping. It securely stores your card details for faster checkout. With money loaded in your MobiKwik wallet, it takes seconds to make phone and DTH recharges! With MobiKwik on your phone, enjoy over 1,00,000+ shopping options and earn big cashbacks and discounts in the process! 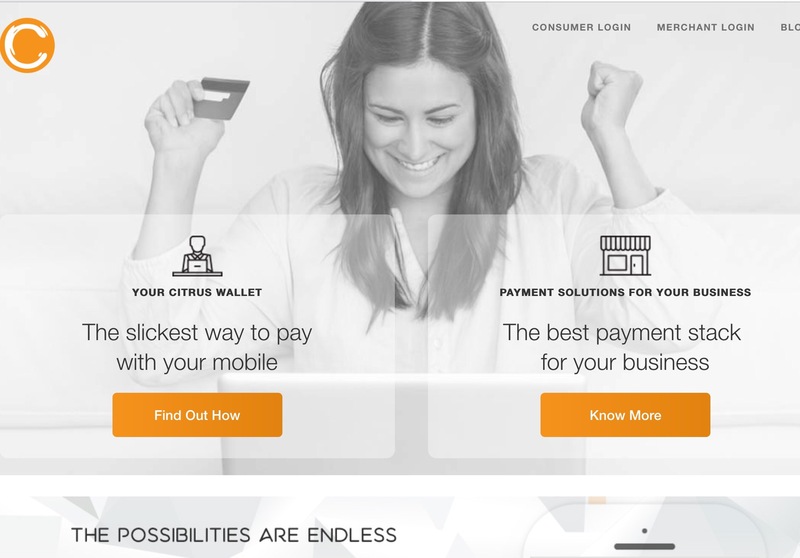 Citrus is a mobile wallet which allows you to manage fund transferring and requesting process in a single tap. The cash present in your Citrus Wallet Can be used for various purposes like to recharge mobile, DTH, data card or shop online and much more. Citrus Cash App allows you to split bills with your friends when you are eating out. 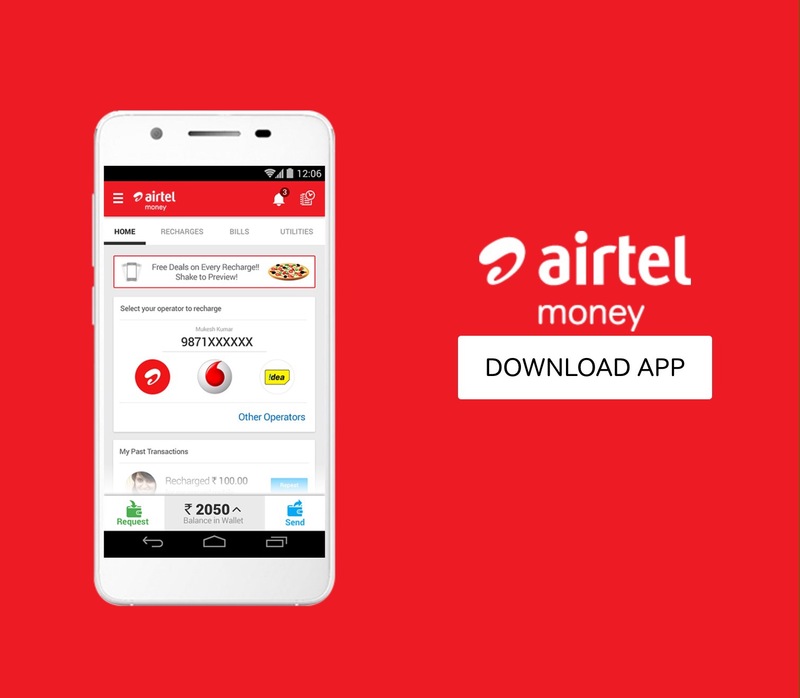 Airtel Money app is not just a mobile wallet; it has some of the best features the you can find nowhere else. You can get exclusive offers for extra savings. Just shake your phone to check the exciting coupons and deals available. Oxigen Wallet is one of the oldest payment industry. Recently it has introduced its digital wallet, which is also highly popular among customers. You can do all your online transactions through it. Get instant recharges, bill payment & money transfer through POS machines at over 500,000+ retail outlets. 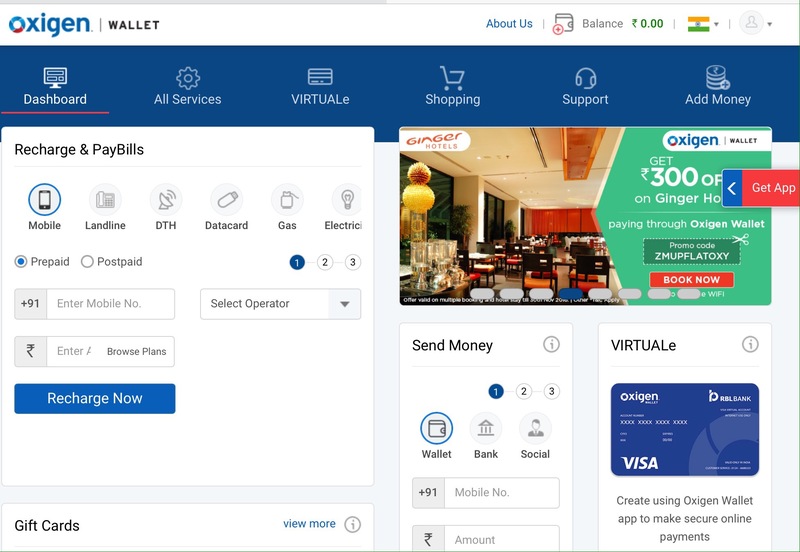 Oxigen Wallet can be operated through your mobile phones and desktop. 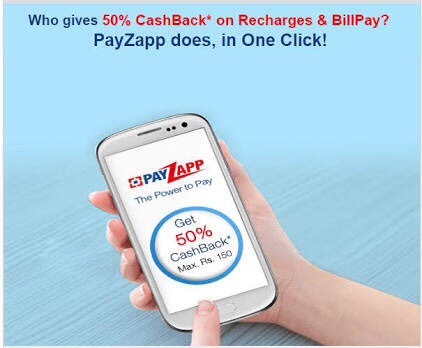 HDFC Bank PayZapp has been a complete payment solution for paying in just One Click. With HDFC Bank PayZapp, you can shop on your mobile, recharge and pay bills of mobile, data card and DTH, compare and buy flight tickets and book hotel rooms, etc., with great discounts. Just link your cards to this App and enjoy the most convenient way of online payments. It comes with several features like Send Money to registered and new users, Ask Money and Send reminders to settle dues, transfer additional cash to account of your choice free of cost, recharge & pay bills instantly, book movie tickets, flight & hotel and shop for your favourite merchandise. mRUPEE mobile wallet transforms your mobile phone into your personal payment device. Mobile recharge, DTH recharge, postpaid and landline payments, electricity and gas bills are some of the many transactions you can do with mRUPEE mobile wallet. 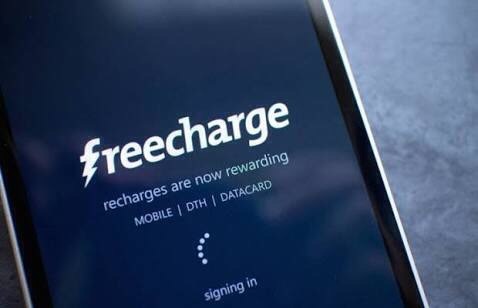 FreeCharge Wallet – the fastest mobile app for online recharge & bill payments. Not just easy, safe and secure, it is quick. Pay for your prepaid mobile recharges, postpaid mobile bill, electricity bill landline bills, data card & utility bill payments in under 10 seconds. JioMoney is simple & secure one-app solution to your everyday transactions on the go. Do Mobile/DTH recharge, pay bills, send or receive money, pay premium or manage your accounts. Its as convenient as flipping of your finger. It’s time to go cashless & make way for digital India. Hi aditi. Prefer to keep cash at hand. Certainly not keen on a cashless society! Surely all control would be lost! Thank you for liking my poem “Turmoil!” Thoughts and fears of this society today! Peace and Best Wishes. #TheFoureyedPoet. There’s nothing like cash in your wallet but the demonetisation in India created the need to go cashless. 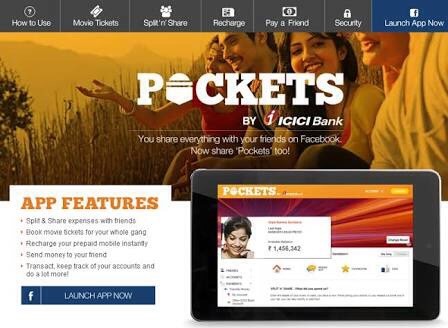 With little cash in hand, mobile apps are growing popular.